As important as foundation repair serving San Antonio may be, it may be even more important to determine why the problem occurred in the first place; the more you know about foundation damage, the less frequently you’ll need to call for concrete repair. You might experience damage to your foundation due to issues with your soil, poor drainage, or leaks in your plumbing system. Read on ahead if you are interested in touring the common causes of foundation damage and enjoying a drier, healthier, and more convenient household. Your house sits on a foundation, and this foundation needs to stay perfectly in place in order to keep your home as structurally sound as possible. If it shifts at all, you will need to call for foundation repair to protect your family and your investment. Unfortunately the soil packed around your foundation might not be totally secure. If the consistency of the soil around your foundation allows it to move around from time to time, this could mean bad news for your foundation. If you already know that the soil around your foundation is giving you and your home issues, be sure to bring that up when you talk to your foundation repair specialist. One factor that might cause the foundation of your home to struggle more than usual is your drainage. Water can affect the composition of the soil around your foundation, which can become a serious problem if your drainage systems allow moisture to collect around the base of your home. If you have to jump over deep puddles to get to your driveway from your front door, you might be in need of drainage correction services. 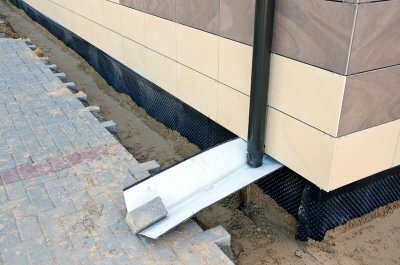 Drainage correction will ensure that rainwater does not settle near your foundation and instead moves out to the gutter or another safer place. Just like rainwater, water that comes from plumbing appliances and pipes can also lead to foundation damage. Be sure to have these plumbing leaks repaired as soon as possible, especially if you haven’t already sought drainage correction services to bolster your foundation.